Are you looking for a reliable Damage Repair Company to turn to after a La Canada Flintridge building disaster? Maybe you’re feeling completely overwhelmed? Whether from fire or water damage, or both, you need professional services to assure that everything is taken care of promptly, correctly, and thoroughly. Restoration Masters is the single full­service company you can turn to for water damage restoration, flood damage removal, fire damage repair, and mold remediation as well as related services such as storm damage repairs, smoke and odor removal, leak detection, and pack out services. You need to act immediately as any delay sets the stage for further destruction in as little as 24 hours, and that is unlikely to be covered by insurance. Exactly why is that so important? Water soaks in deeply to where it’s extremely difficult to remove before it causes wood to swell, crack, & warp, and causes other destruction as well. Smoke likewise penetrates all porous materials and soon reaches a depth where the toxins and odors can no longer be removed. Health risks from bacteria, fungus, and toxic mold are always concerns. Lacking very specific technical expertise, general services and do it yourself efforts frequently backfire, leaving you with a bigger mess than when you started. So call for professional help for the peace of mind that comes from knowing that everything is being taken care of properly. You can always reach one of our experts 24/7, and our on­call technicians can be at your La Canada location within an hour. We’ll return your home (or business) and its contents to pre­-loss condition and your life back to normal in surprisingly little time. We’re a family owned and operated local company dedicated to getting our clients through a difficult time with our winning combination of experience, technical expertise, and customer care. Restoration Masters is licensed and insured for commercial as well as residential clean up, restoration, repair, and reconstruction services. Our experienced technicians are certified by the IICRC (http://www.iicrc.org/) and we follow the industry’s best­practices to the letter. We also care about the environment and use eco­friendly supplies and properly dispose of all wastes and hazardous materials. From initial assessment & securing the building to final haul away & inspection we’re the only company you need to call for guaranteed 100% satisfaction. Restoration Masters will also take care of those insurance company paperwork headaches. We’ve worked extensively with all major insurers in the La Canada Flintridge area and will provide all the documentation and details they require for fast and smooth claims processing. We know exactly what mitigation steps they require for coverage should any secondary losses occur. We’ll bill them directly, and you don’t need to make an up front payment to get everything started. 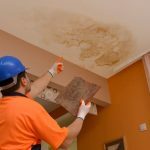 Whether part of storm damage restoration, the result of a burst water heater, or whatever, the key challenge in water damage removal is removing every last bit of excess moisture (including that trapped deep within building materials) before it has time to cause further destruction or lead to the need for mold remediation. Progressive destruction starts in as little as a day, yet natural evaporation can take weeks to do the job. We use specialized equipment for water extraction, ventilation, spot heating, and dehumidification to bring that down to just a few days, completing structural dry out in as little as half the time of lesser approaches. Our certified experts are also ready to take care of drying and cleaning furniture and other possessions as well as disinfection and odor removal, and our crews are skilled and experienced in all necessary water damage repair work and flood damage restoration. Flooding, whether natural or because of failed plumbing, adds the need for our rapid pump­out equipment and makes water damage removal all the more important. It also involves even more concern with sanitation. That’s obvious for backed up sewage, but did you know that any water is likely to be teeming with bacteria, viruses, and fungi within about a day? Let our experts take care of safe and absolutely thorough sanitization as a key part of flood damage removal. Even a small fire can leave you with a host of problems to deal with. Besides the need for fire damage repair of the building’s framing together with indoor and outdoor surfaces, there’s likely a need for water damage restoration (from firefighting) along with smoke and odor removal just about anywhere in the entire building. And there’s probably water, fire, and smoke damage to the building’s contents as well. So it’s perfectly natural to feel overwhelmed. There’s so many things to attend to, and most require very specialized knowledge, skill, and equipment. As a full­service company our experts can take care of it all. That starts with a structural and safety assessment and securing the building all the way to cleanup, haul away, and disposal. With hundreds of toxic and corrosive compounds smoke must be removed as quickly and as thoroughly as possible. It corrodes metals (including the insides of home and office electronics) and penetrates into porous materials such as fabric, carpet, wood, and drywall. Without the right choice of cleaners and procedures clean up efforts will be ineffective or even make matters worse, so a great deal of expertise is required. If given time to soak in deeply smoke compounds can no longer be removed at all, leaving you with lasting odors. Our certified smoke and odor removal technicians have a full arsenal to draw from, including special wipe down procedures, soda blasting, and ozone treatments. In many situations it’s best to remove furniture and other possessions from a wet or toxic environment to where they can be treated and stored safely. That’s often the case for fire damage repair, but also a common component of flood damage restoration. Pack out services should never be entrusted to a moving company, as they have little or knowledge of the necessary on­-site treatments nor of insurance companies’ requirements for documentation and mitigation. Most people immediately think of the highly toxic species of black mold. But other colors can also be toxic, and all species are harmful to health and the building itself. And all spread easily when they’re disturbed by mold removal efforts, and can regrow if treatment isn’t absolutely complete. So only call upon our licensed professionals with certifications in mold removal. Sometimes the source of water or dampness isn’t obvious. Then you need our expert leak detection service to avoid having someone making multiple holes in your walls or floors to track it down. As always, our pros combine years of experience, extensive training, and the latest technologies. 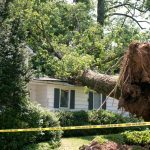 In addition to water damage restoration our crews can take care of your La Canada Flintridge storm damage repairs, whether that’s debris clean up or major reconstruction. We can start with tarp­overs and board­ups and proceed through roof repairs, window replacements, and so on. La Canada’s 20,2246 residents (2010 census) are no strangers to the chain of wildfires, floods, and mudslides. Most recently the 20,000 acre Station fire of 2009 forced the evacuation of some 4,000 homes (including Glendale, Altadena, and Big Tujunga Canyon), and few locals have forgotten the resulting huge mud slides of 2010. Fortunately the 2016 El Nino didn’t cause flooding, but did lead to considerable storm cleanup. Within 50 miles of La Canada there were 196 floods, 84 incidents of thunderstorm winds and 50 wildfires over the most recent 60­year period (http://www.usa.com/la­ canada­flintridge­ca­natural­disasters­extremes.htm). The city’s website provides links to disaster preparedness resources and urges people to sign up for “reverse 911” services to receive telephone evacuation alerts and shelter locations.